Hope you are doing well mate! Planning to do Delhi – Kishtwar – Killar – Sachpass – Dalhousie Trip next month. I have been told by someone that Patnitop – Kishtwar route is unsafe and have been asked to not to travel on that route, especially with girls. I have checked online a lot about that route but haven’t found a thing negative about that area. Can you pls confirm. We shall be travelling in day time only. Look forward to your earliest response. Abhishek, just check on the news updates for any disturbances in the Kashmir valley and in these regions of Kishtwar – Doda area. In case there are any, please avoid else it should be OK. Also, do not expect too much from the accommodations than basic home stays or guest houses. Thanks for your revert. One more thing I wanted to check. Can we cover Killar to Patnitop in one day? How long will it take? What time should we start from Killar? 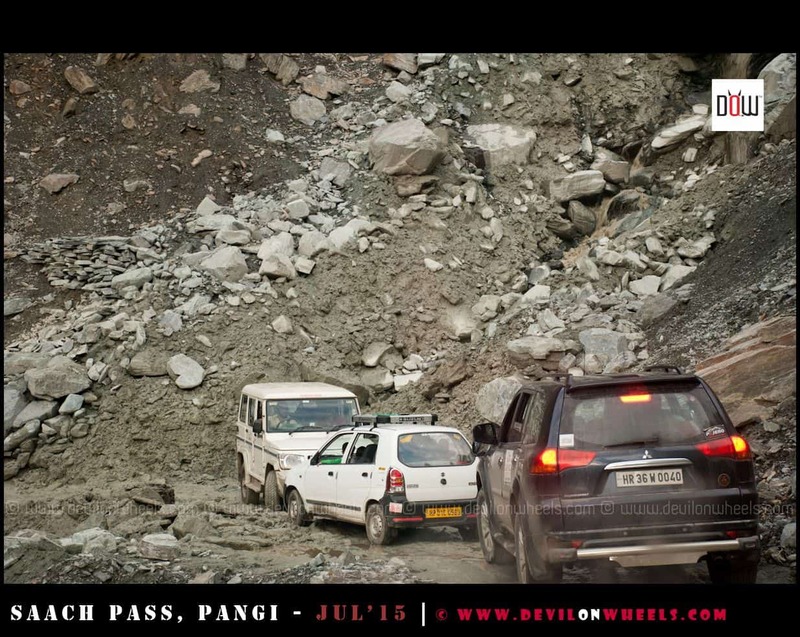 You can do Killar to Patnitop and it will take around 10-11 hrs, so leave by 7 AM from Killar. It is wonderful to know that, glad this website was helpful !! July 12 Night travelling From Delhi to Pathankot. July 13 Pathankot to Bhairagarh by rented Car/Bike. July 14 Bhairagarh To Sach Pass and Back to Bhairagarh. July 15 Bhairagarh to Pathankot and catch night train to Delhi. Is it recommended to go their during this time as its monsoon time? The way you have planned it, the trip is doable however it will be hectic and with monsoon please keep buffer days or be ready to return from blockade point. Also, a rented bike will not be available in Pathankot. Have you arranged any? i am thinking of doing patnitop-kishtwar-killar-sachpass-udaipur-keylong or patnitop-kishtwar-killar-dalhousie. From 15-16 of august. 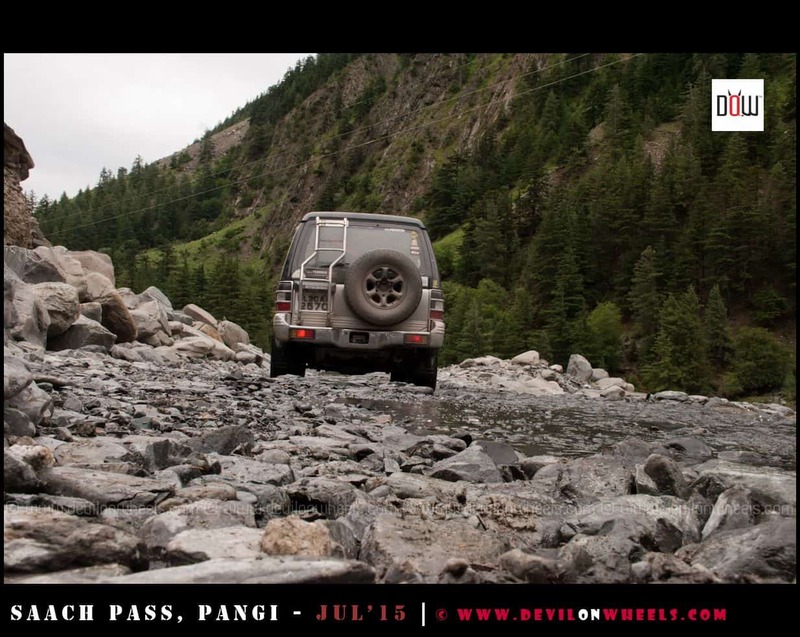 i needed your opinion on the patnitop- doda route to kishtwar and also the weather, do you think it will raining a lot? 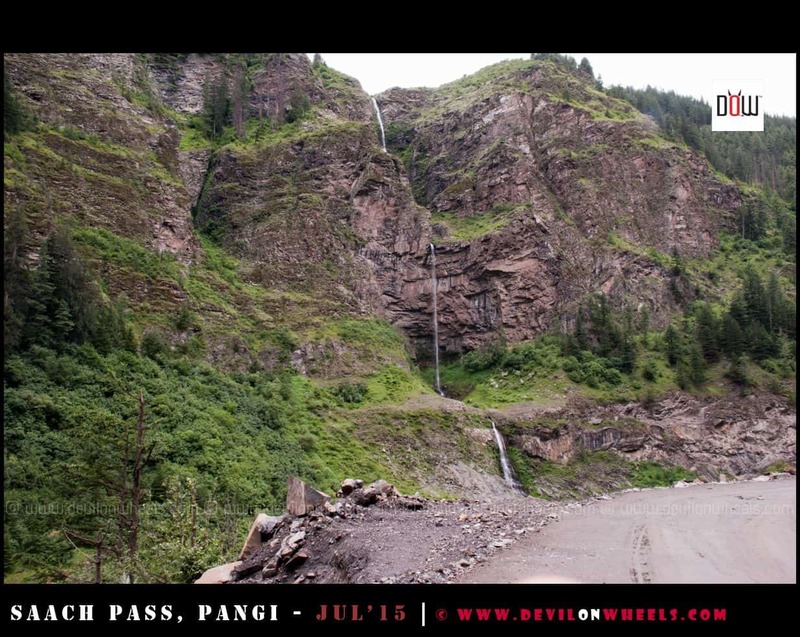 In general, it rains a lot during mid-August and these mountains in Pangi Valley are quite fragile for landslides. So, expect blockades and landslides. I crossed sach pass on 2nd July on Bullet 500 with pillion. Roads are in very bad shape, Pwd may do some repairs in next 15 days. Many surprises on turns, Nallas are difficult to cross after 12, try to start as early as possible. From killar to Udaipur, again roads are challenging for riders. We crossed all nallas before 11 and didn’t faced much problem. Try to start your travel at 05 in the morning. 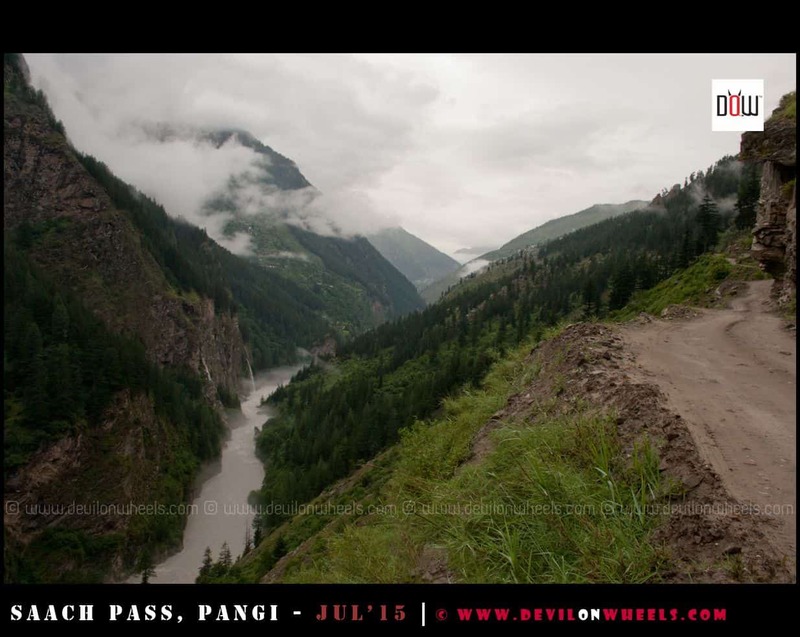 For bikers, it is very challenging especially the descent after sach pass. It is indeed Daddy of all Mountain passes. Also what was your complete route? Snow was there but not on the roads. Pathankot- Bairagarh-Killar- Darcha-Whisky Nallah- Leh- Mahe- Tso Moriri- Sarchu- Manali- Chandigarh. We r planing for a trip from Pathankot – killar – keylong on Sep 15th in 2 bikes with 3 persons is it a good time to take this trip, do you suggest riding with a pillion? YEs Arun, September is good time to travel to Sach Pass and Killar and rains are subsided by that time of the year too. Planning to leave for SACH pass on 8-JUL-17 on bikes . My first stop would be Bairagrh from CHandigarh. Also can u suggest the route to bairagarh from pathankot? can Chamba be avoided? Decent stay options at Bairagarh and killar? Well, yes looks feasible but yes a bit hectic as there is no rest day bhai. Yes, follow the route to Chamera lake via Banikhet. Do not go to Dalhousie and then towards Tissa. DO NOT follow any signs for Chamba as the shorter route does not goes through Chamba. Google maps also will follow the route from Chamera lake only without going to Chamba. Best wishes for the trip, keep us posted on road conditions and all too. In 4 days, go with the plan you have for the trip. just came back from the trip.. the weather was calm..no rain at all..Roads are perfect till Bairagarh and after that its full of misery..Heavy rainbs are predicted this week though there.. The roads are perfect till Bairagrh, After that it is complete off-roading and tough roads. Heavy rains are predicted this week over there. So do inquire about the weather before leaving. If Sach pass gets closed due to rains, The police wont let u cross Satrundi check post and u will have to go back. Also that area is v much prone to Landslides and u wont like to be caught up over there. DO follow the same route as Dheeraj suggested. Pathankot-bankikhet-Bairagarh via Chamera lake. Do not go via dalhousie and Chamba as it is extra 60 KM approx. It is possible to plan this trip but it will surely be hectic. I will recommend to reach Bairagarh one day 1 instead of staying at Dalhousie. Give me the Mighty Himalayas anytime….every time. Sir can some one advise the best and short route from ambala to chamera lake. 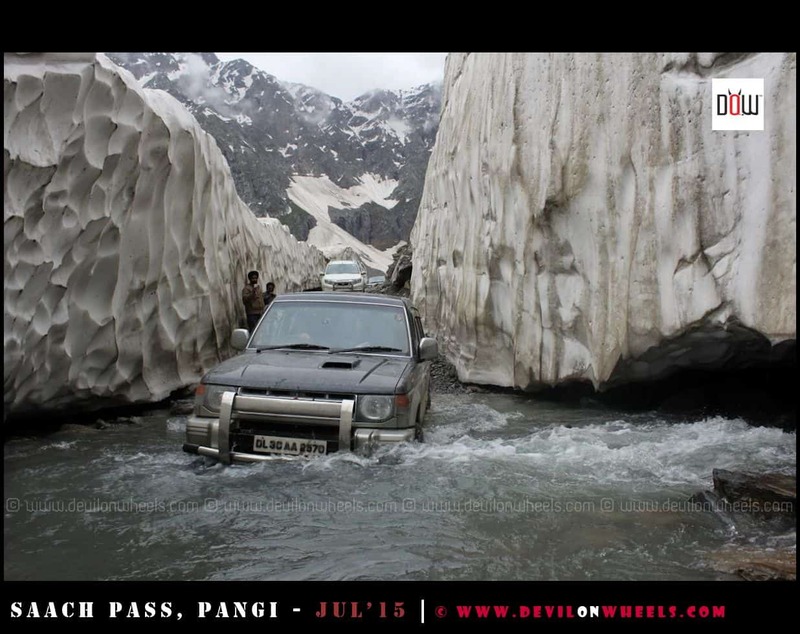 I am planning to go to such pass from Delhi. Upto ambala and from chamera lake to bairagarh no problem. But from ambala to chamera lake I am not clear which route should I take which is best as far as road conditions r concerned and short. is it possible to do sach pass in baleno (diesel) during last weekend of june ?? 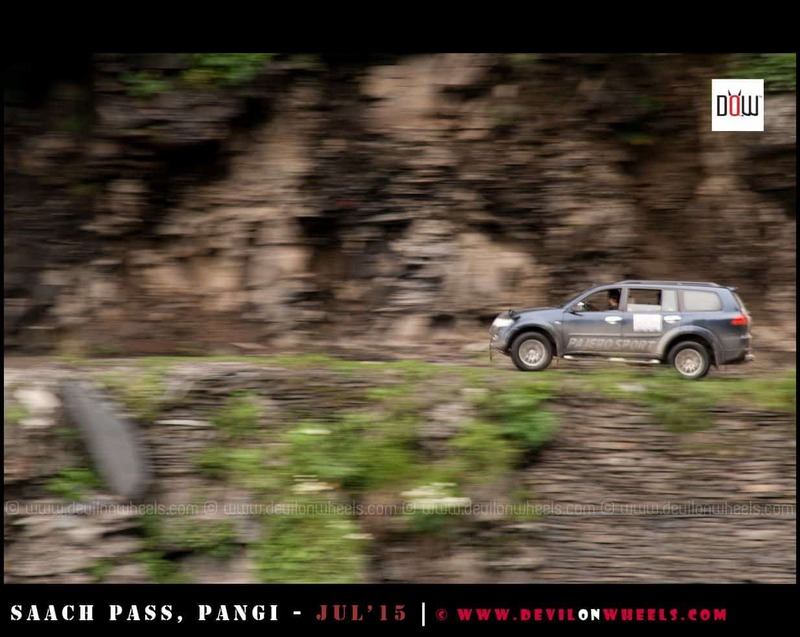 Dina, doing Sach Pass in a hatch or sedan is mostly like beating the vehicle to the extreme. In case you have not been to such roads including Spiti or Ladakh on such a vehicle, I will not recommend taking it to Sach Pass. 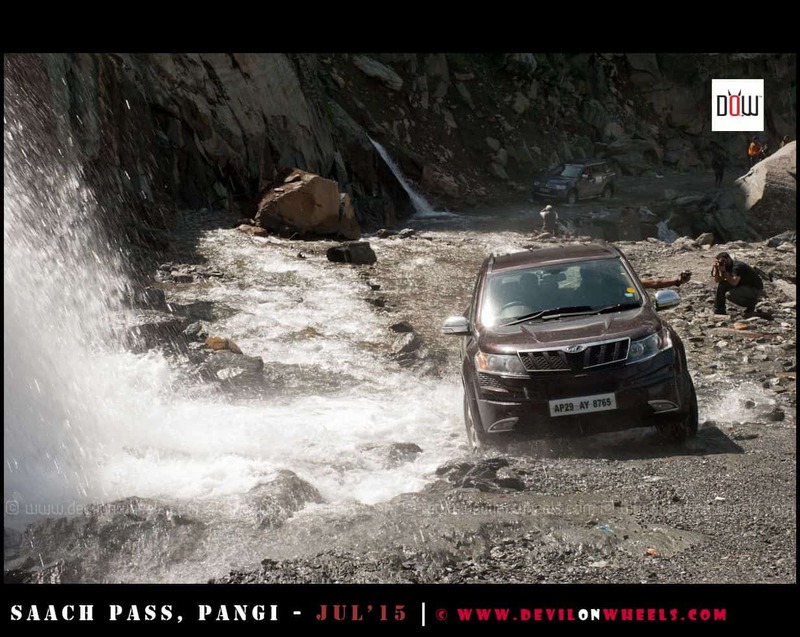 If you love adventure more than your own car and have good experience in such terrains, well, then you may try for it. 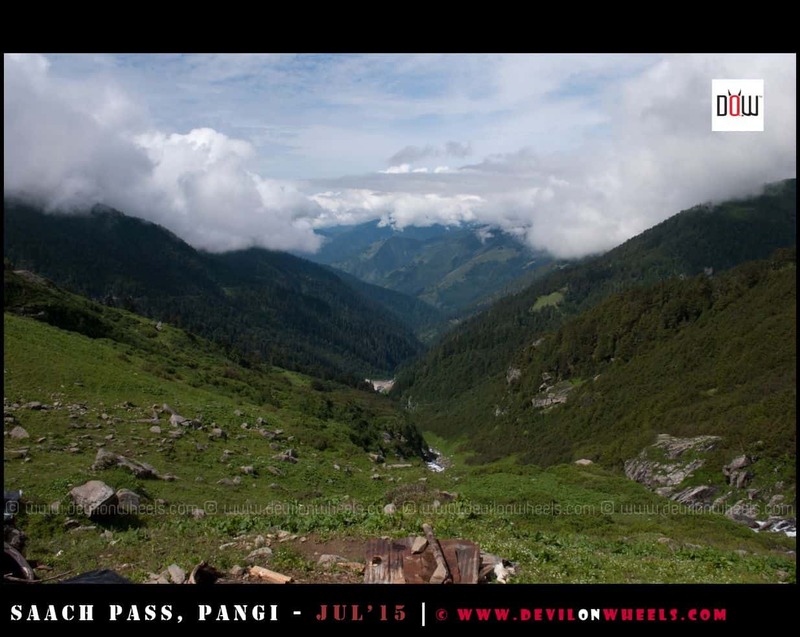 Generally what is preferred time for sach pass according to your past experience. 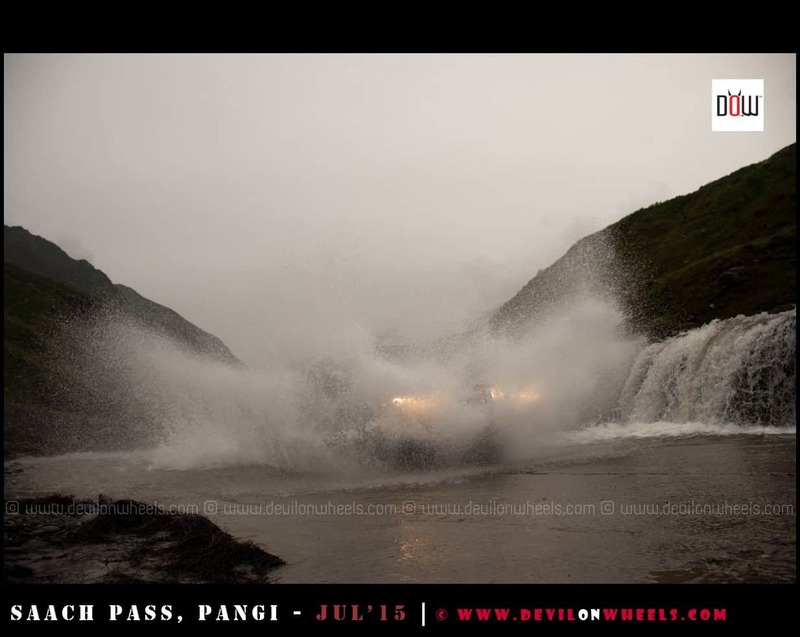 Wwe are planning to cross sach pass from killar on approximately 24th july. is it the right time or will it be rainy at that time? we are going in bike to sachpass . Sharath, Sach Pass safest time is September but now Sach Pass is open this year early so anywhere from today till the time monsoon does not arrive in Norther India should be good time to travel to Sach Pass. Before leaving for the trip, do keep an eye on weather updates. If you are talking about Cherry or Tissa PWD Guest Houses, best is to land there and ask the caretaker to accommodate. Could u tell me any update of opening of sach pass treck. Further from ambala to chamara lake what route should I take? Sir, Whether taxi etc. r available from bairagarh to sach pass. Yes Sanjay, some taxis will be available to Sach Pass from Bairagarh and you can connect with Hotel Chamunda who can arrange the taxi in advance to be 100% sure. If you havent done any such trips to trans-Himalayas, Spiti Valley will offer good amount of adventure. 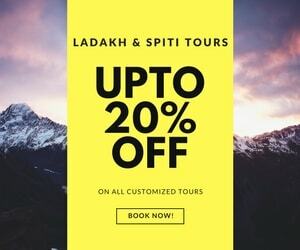 You can check a very balanced and most common itinerary for Spiti Valley followed by many travellers including me at the link here for 10-11 days: Most Common Itinerary for Spiti Valley. Replied to you other post. Sir what is the best and short route from Delhi to sach pass. I heard that going to chamara lake via chamba or banikhet is time consuming. Besides when the sach pass will open? Sanjay, Sach Pass will open by end of June. But, I feel the short route is from Chamera lake and Chamba does not come in short route. Please read the article above. You need to follow directions to Bairagarh. Thanks for the detailed post , it is quite help full . I am planning the below in last week on June , to start on 24th June. We will be 2 families ( 5 Adults and 2 kids ( 3 years + )) in 2 crossovers, Please share your thoughts and suggestions. 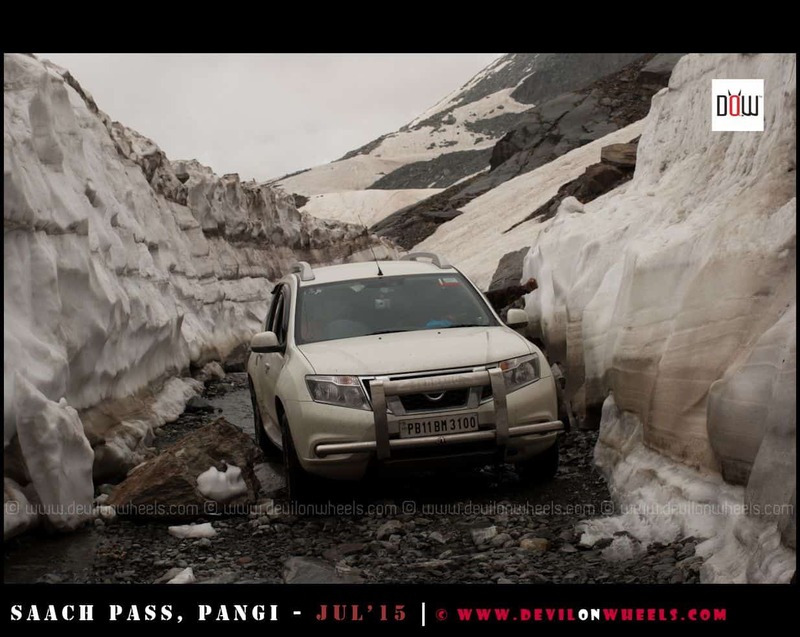 Also if you could confirm about road conditions , I was going through the url shared by you but could not find any information about Sach pass and its tentative time to open . I hope it will be open by June end . Saket, frankly speaking, the above trip does not look like a family trip to me at all. It is over ambitious and lots of traveling every day on one of the most treacherous roads of the world !! 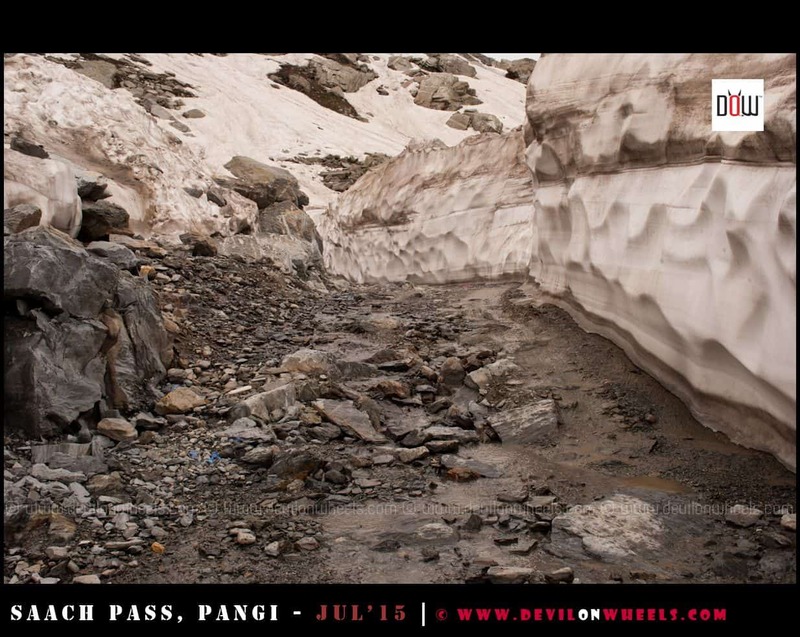 Sach Pass opens up in end June or July starting only.Though it is possible to do it but it is very hectic. Awesome to know that Saket, glad you guys had fun and this site was able to offer some help. Though the plan looks doable but towards the end you are just on road. It will be better to spend a day in Kaza on 7th July and then come to Manali and then do Manali to Delhi. You can visit Langza, Hikkim, Komic, Demul on Kaza rest day if you havent been there. I am doing almost the same trip a week before , My itineary is as under , I will start on 24th June from Indrapuram , GZB. Hi saket…now we are also leaving on 24th June from Noida..but slightly change in our itinerary..will come back from manali side instead of shimla. Dheeraj bhai need one more suggestion from your side..we are hiring zoom car..trip can be doable by Honda jazz or will rent duster/Scorpio for the trip. Better go for Duster or Scorpio for ease and peace of mind. Hi Dheeraj bhai .. Duster is booked for the trip..Just want to know fuel is easily available after chamba or we have to carry fuel can. Manjir, Bhadram. There is one fuel pump at Bhadram and Manjir. Bhadram is about 40 KMs from Banikhet towards Sach Pass and Manjir is about 28 KMs ahead of it. I am also on the same route but till sach pass starting on 26th June from Crossings Republik. Just wanted to check if it is worth going beyond such pass being with family. we are leaving on 24th june ..already applied for leaves can’t change my plan..if your dates are flexible..u are most welcome ..we will go together. We will be leaving Dalhousie on 29th towards sach pass. Will be staying in Monga Dalhousie. Hello Dheeraj, I am a regular follower of your posts. In fact your post helped me a lot in planning our trip at Ladakh region last year, particularly in taking the road from Pangong Tso to Tso Moriri via Hanle as well as Nubra to Pangong via the road thru river bed (not the usual road thru Khardung la). Next year I am planning to take a trip covering Sach Pass, Kunzum la and Chandratal but we are a family of middle aged husband and wife with a son who is fit but not physically strong, hence we cannot afford to be adventurous too much. Well, I will suggest to make up mind and choose between doing just Chandratal + Sach Pass Pangi Valley OR making trip to entire Spiti valley and Kinnaur Valley. Then we can discuss about rest of the things. If you have not been to Spiti, I will recommend it over Sach Pass at his moment. but let me know and we can discuss rest. Dear Dheeraj, thank u for such an early response. We did travel to the Spiti and Kinnaur valleys earlier covering Sarahan, Kalpa, Sangla, Chitkul, Tabo, Nako, Kaza till Kibber but had to come back via the same route to Shimla and cd nt take the road to Manali via Kunzum and Rohtang bcoz it was nt open that time. Same way, we took the Srinagar- Leh road while going but cd nt come bk via Leh- Manali road due to again the same reason. Hence we want to do this time even if we hv to take the same places once more. However I am not sure if they have done Sach Pass or not or they will be interested in doing so or not. But, they might refer you some contact. Jus t want to know, can sach pass be considered as an alternative to Rohatnag Pass? I have been to Leh-Ladhak this year. I did it via jammu – leh – manali. I am planning again for 2017. I dont want to go via J&K this time. 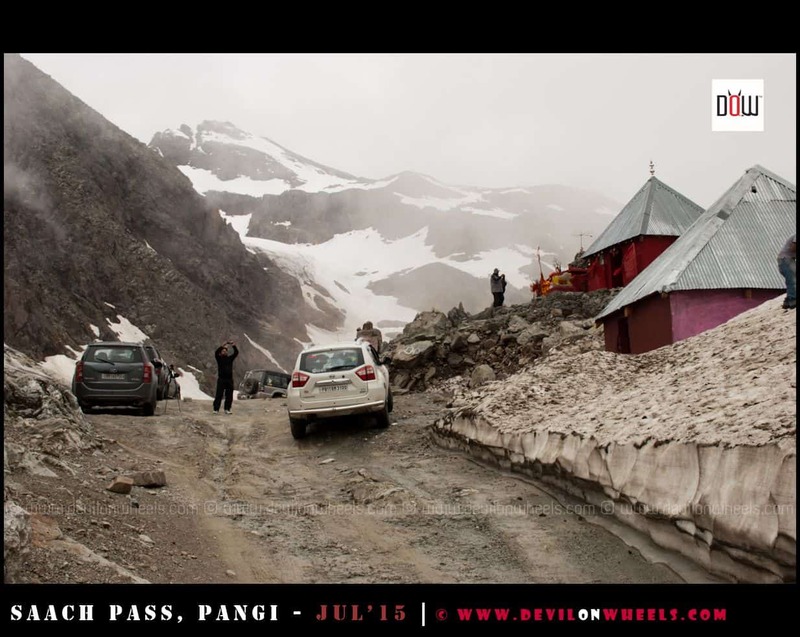 I would prefer getting stranded into sach pass route than wainting in Manali for Rohtang permit. Day 4 | Reach Leh. Thanks Dheeraj. I will consider your suggestion. I will be planning to travel on motorcycle. I hope this route is quite suitable for motorcycles as well. Yes, loads of people plan trip by bike as well. One more query, will the sach pass be opened in June17? first week. How to find its status? We will keep posting the updates up there. Hieee..me and my husband jst had a trip from Shimla to kazzza… it zzz an amazing trip of 4 days…we were going through Alto lxi 2005 model… roads were not good..it’s like dat we r on vibration mode …sites r breathtaking from nakoo..we crossed nako after 6pm…there were no signs of people , no vechiles, I was very scared..bcoz we r only two people….by it was amazing and unforgettable…,,,nw on these holidays we both r going to explore sach pass….thnxxx for such a good tips ..
Great to know that Alka, feel free to post any queries you have for Sach Pass trip. Spiti is a wonderful place for sure. Want an input from fellow DOWians if this is doable. 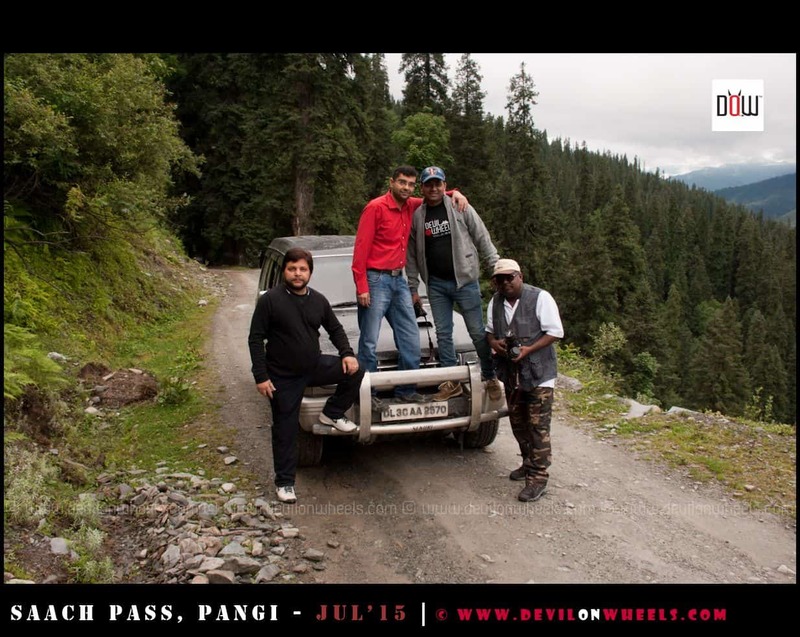 Killar to Manali is a bit long drive, we did it but I only know how. Better avoid it and halt at Sissu at max. Also, no need to go to Khajjiar, be on road towards Bairagarh or reach Chamba. Leave very early on Day 2. Hi Dheeraj, have just been back from the trip. Yes I did want to go in the month of Oct, but it somehow happened. There is actually no road about 60 kms before sach pass till phura. Drove approx 225 kms without any road. The climb is really treacherous. Sacrificed one of my new michellins. Driver side tyre got burst while descending from sach pass. It was 8 pm, and unfortunately the jack also broke. We actually got straded about 16 kms from Killar before a truck came and helped us. I really would not suggest anyone to even visit if he s not having a 4×4. Must visit in a big group. 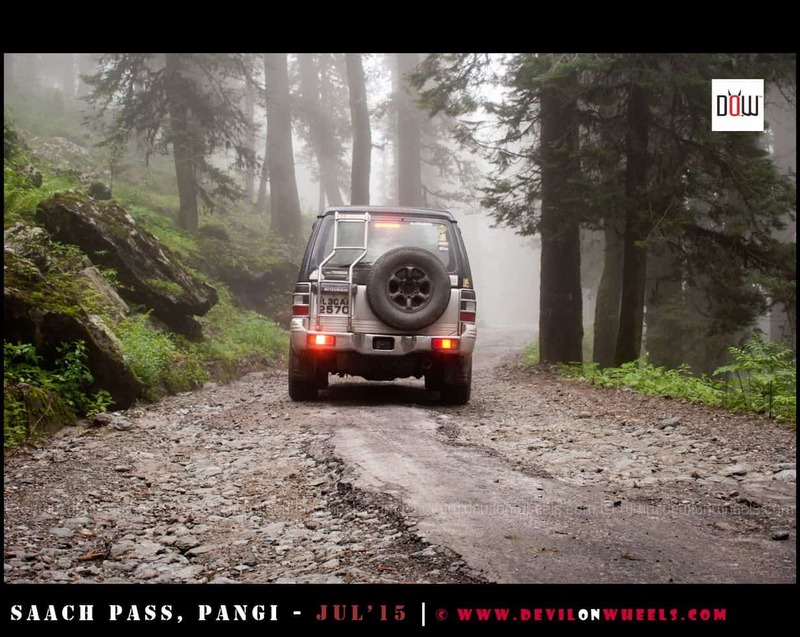 It took me 4 days to do gurgaon – khajjiar – sach pass – killar – keylong – manali – gurgaon circuit and 1700 kms. Can I post our pictures on this forum (and how to do that), I would like to add some to give an idea to fellow DOW’ians. Also, we have apps for both Android and iOS which you can use as well to post the updates on the go. Use the links in the side bar to download them or search for Devil On Wheels in the Play Store or iOS App Store. thanks Dheeraj, will surely update some of my memories. Looking forward to it bro !! Thanks a lot for the info above, it was really helpful. I also frequently make trips to the himalayas. 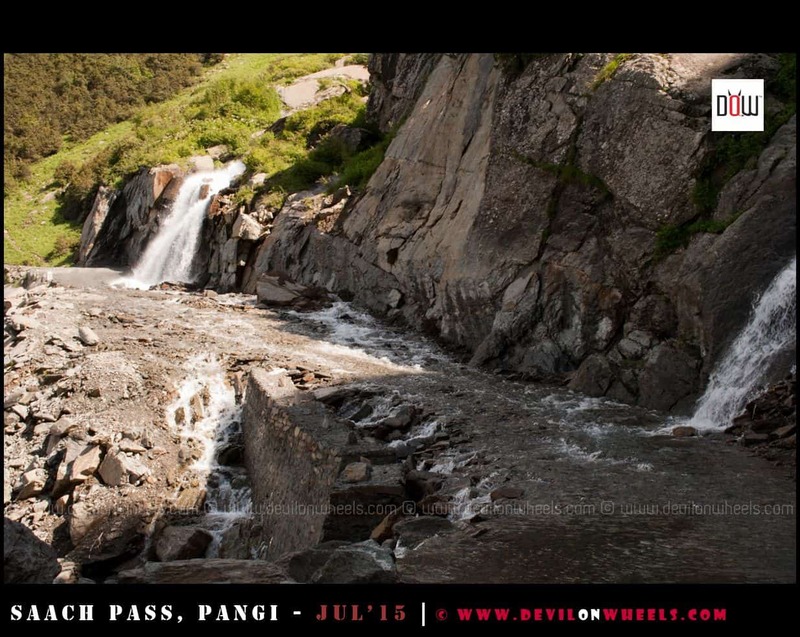 However, pangi i will be going for the first time. Would request your inputs on the following since you have already visited. 1) Firstly, i’m leaving on the 8th of october to pangi from delhi by road. 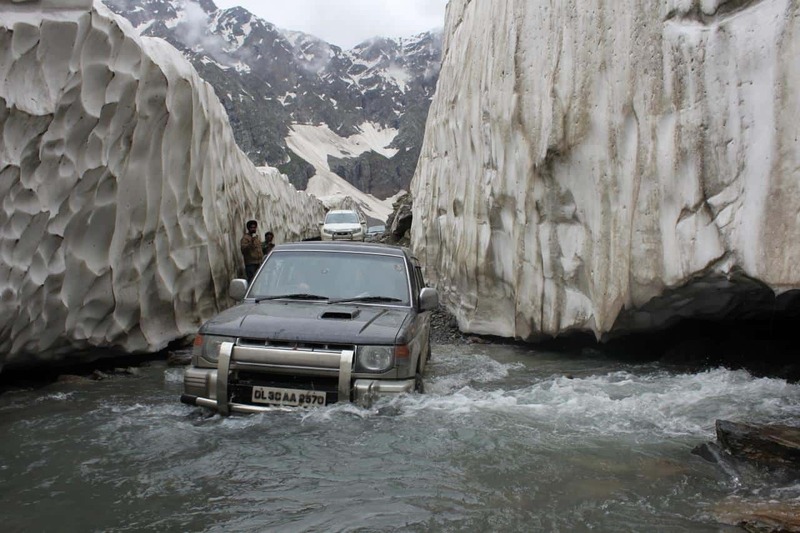 Is sach pass accessible during mid October? 2) Is it also accessible from through Shimla- rampur – kinnaur , the road to spiti? Please let me all routes you know to pangi from delhi? 3) I have to be back on 16th october to delhi as i have work resuming 17th October. Are 10 days enough and please suggest routes basis the time we have which is 10 days. 4) Any special places you would want us to visit? 5) Please feel free to tell me any other inputs you think would be helpful. 1. 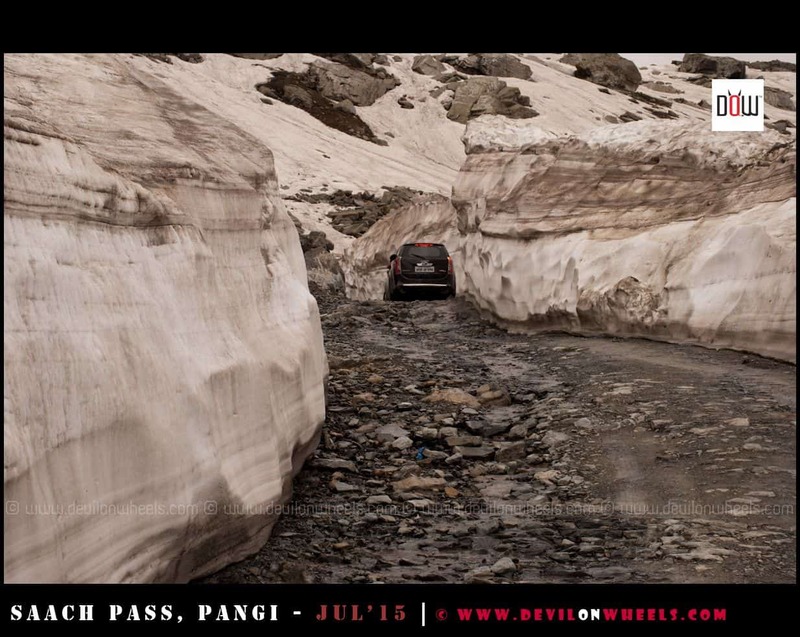 Yes Sach Pass is accessible during that time. 2. Yes, it is also accessible from that side during that time of the year. Traveling after 15th October from MAnali – Kaza or Keylong side is not recommended though. Due to certain issues, i couldn’t plan my trip earlier but now planning for solo bike ride starting from Pathankot – Koti – Tissa – Sach Pass – Killar – Keylong – Manali. Is it advisable to travel solo on bike this time? 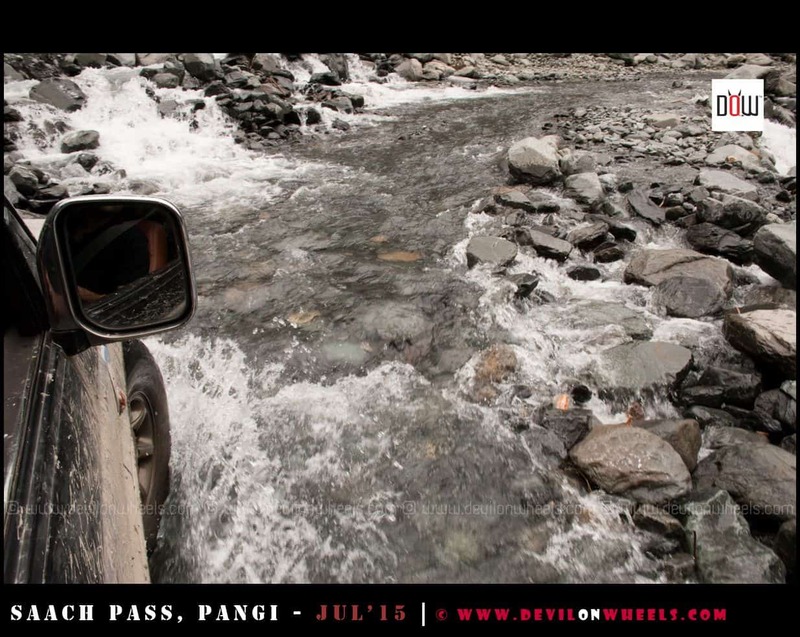 Would i get any water crossings at Sach Pass? Sach Pass shall be fine but for Manali – leh highway for a solo biker this late in the season, from my side it will be big NO. Satish, you are trying to be just on road only. Are you sure about that? You will be just sleeping and driving. We just want to ride on the road with Innova…. & night haults for rest…. We have already made sightseeing around Kaza & Manali in 2014. I am back with another question. As i am unable to opt Jammu-Srinagar-Leh route, I will start my solo bike trip from 21st Sept and i am planning to go through Dalhousie-Killar-Keylong route. I have read the comment and you specified the perfect route to reach jispa. I will exactly follow that but please let me know if that route can be covered in September end. After starting from Dalhousie i am planning to take a halt at Killar and then to Jispa. Sachendra, the road conditions are tough, so plan a day in between I will say. 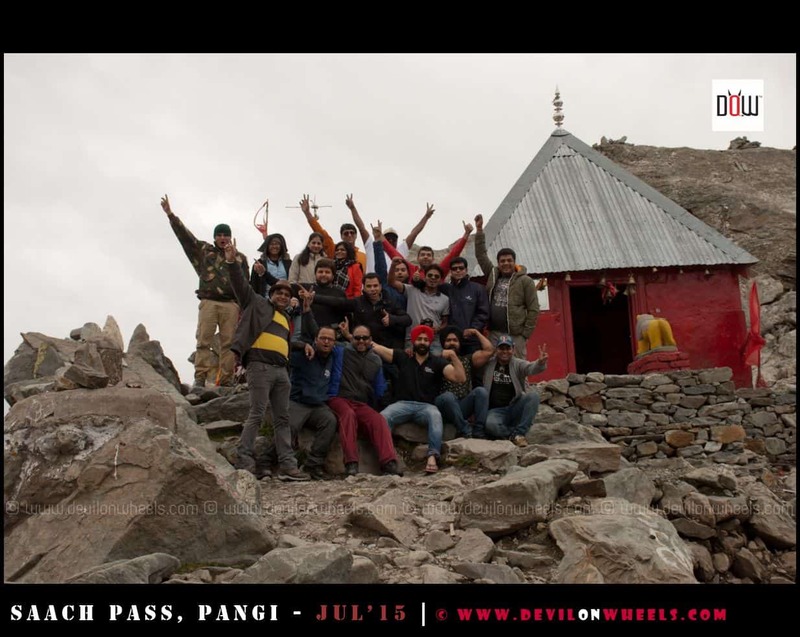 September you can surely plan the trip from Sach Pass – Killar route. The route remains open. I am gonna move slowly and enjoy the every bit of scenery. Just few more questions, Is there anything good to see in Dalhousie? So that i can stay for one day there. Is there any beautiful spot near killar where i can spend a day enjoying the natural landscapes? You can spend couple of days at Killar to explore the beautiful villages in Pangi Valley around Killar are Dharwas, Luj, Sural, Hundan, Findroo, Findar, Mindhal, Parmar, etc.. to name a few. 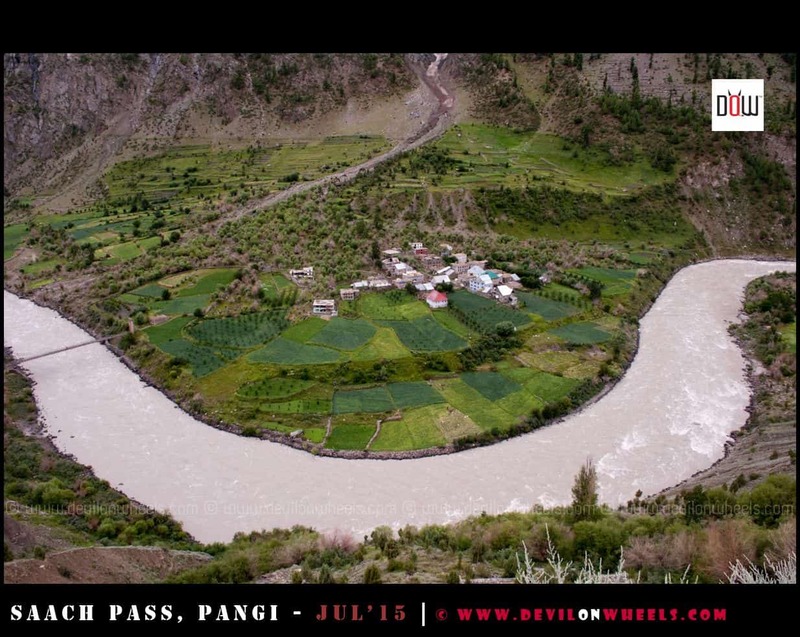 The entire Pangi Valley offer many picturesque villages and there is a PWD rest house in Cherry where you can stay in peace too along with hotels or guest houses in Killar. Sir, one suggestion, pls donot opt for solo trip. I’ve just been back and the route is strictly no no for a solo traveller, unless you find more bikers there and you join them. One of the bikers from Bombay was sharing his own experience (@ killar). His bike got punctured and he had to leave everything there to get the tyre puncture repaired. Luckily the facility was nearby, but it still took him more than an hour. The place is completely isolated and cut from the rest of the world. i m planning delhi-leh trip via sach pass on rented bullets from delhi. can u suggest an iternary??? how is the road condition there on september?? is it possible to travel on two wheeler in sach pass??? will we get proper acclimitation if we go through this route?? Yes Tony, replied you on the comment. Day 15 + 16 | Buffer days to be kept incase of road closure due to landslides or snowfall or perhaps you want to enjoy more. can we head directly from hunder to pangong tso and save one day?? Yes Tony you can do so. However, those are isolated routes and hence it is highly recommended that you travel on those routes only with convoys of at least 3-4 vehicles so that you can help each other inc ase of any need. Also, it is highly recommended to do the route in the first half of the day as later the water crossings can be swollen and impossible to cross at times. Hi Tony, I too am starting with two cousins from Delhi on September 12 on rented bikes. Are you okay with connecting with a few more people for this trip? Thanks! HI Dheeraj…. Just amazed by your journey and the snaps posted. Need an expert advice of yours, we have 3 days and are visiting Dalhousie but want to visit Sach pass too (till Killar, as we dont have much time exploring the rest). 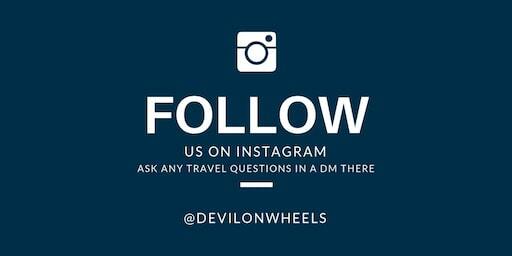 Can you put your suggestion on how to plan our Journey & from where could we get a Car hired (If you know)…?? Thanx Dheeraj for your reply, but we are not travelling from Delhi… Kindly consider our journey from Dalhousie and Back to Dalhousie (We have 3 days in Dal here, travelling is additional). Now can you tell how to travel, we do not want to go to Manali and are planning to revert back to Dal from Killar. Where can we stay, what we can do Kindly let me know. Spend a day at Killar to explore the beautiful villages in Pangi Valley around Killar are Dharwas, Luj, Sural, Hundan, Findroo, Findar, Mindhal, Parmar, etc.. to name a few. 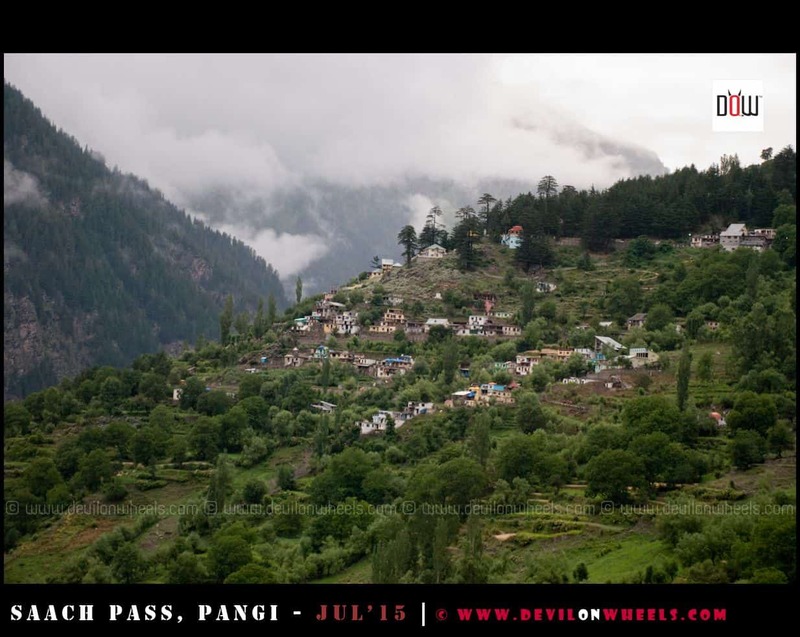 The entire Pangi Valley offer many picturesque villages and there is a PWD rest house in Cherry where you can stay in peace too along with hotels or guest houses in Killar.